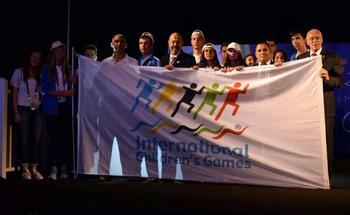 On August 2 the closing ceremony of 52 International Children's Games in the city of Jerusalem took place. The action took place in the picturesque place Zipori Centre. Pass of flag of the host of Games from children from Jerusalem to athletes from Ufa became the main event of evening. - It was very responsible and disturbing moment for us, - Darina Yurmasheva the athlete from Ufa tells. – I have experienced similar emotions at opening of these Games when our national team – team from Russia , the city of Ufa was presented. At this moment it was difficult to hold back tears. ICG became bright adventure for me. On arrival to Ufa I will start trainings at once – I will prepare for the All-Russian athlete competitions which will take place in September. During the ceremony the head of the Ufa delegation,Rustem Gazizov the deputy head of administration of Ufa presented Ufa as the city in which will pass the next International Children's Games. 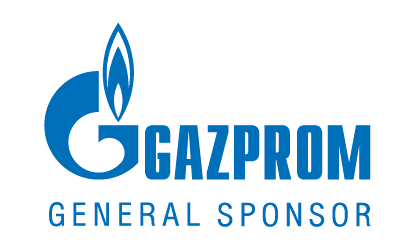 - Representatives of many countries express readiness to participate in Games in Ufa, - Rustem Gazizov says. 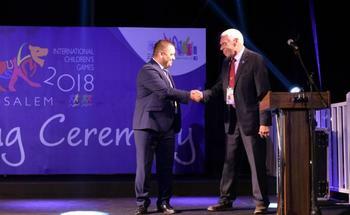 – Everyone is sure that the 53rd International Children's Games will pass at the high level. Among them – Craig Randall the mayor Lake Placid . - Carrying out the Olympic Games is already twice entered in history of our city, and in half a year we will hold winter International Children's Games, - Craig Randall tells. – The presentation of Ufa was impressive. I hope that I will be able personally to visit your city next summer and to take part in 53 International Children's Games.